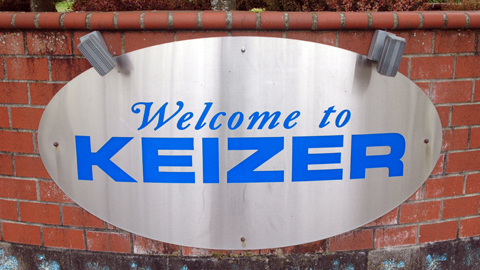 We are a privileged group—those of us who grew up in Keizer. Our city and state provided 13 years of education designed to prepare us for success in ways we often rejected or tried to ignore in our youthful demeanors. We often complained about the ancient buildings, the packed classrooms that were always too hot or too cold, and of course about homework (or any kind of work for that matter). In some ways our concerns had some merit—our system is imperfect and needs the support of society, but as my classmates and I neared the end of our public school experience at McNary in 2014 we were starting to realize the most impactful part of our education had not been in the infrastructure or official curricula opportunities—this honored place was held by our teachers and coaches. Being four years detached and about to graduate college, my respect for the quality of our teachers has only grown. Despite every obstacle in their paths for doing so from logistics to bureaucracy to funding to even some downright mean students, they came to work every single day to give everything of themselves to push us to the greatest success possible. They gave of themselves not only in academic rigor, but in the greater lessons of life that are taught by that vehicle—the value of maximum effort, living a life in service to others, and the respect for each other and our society that is so important to every part of American life. I will forever remember Coach Hafer running lines with us for what felt like hours to teach our 8th grade football team respect and brotherhood, the Big Four of junior year (Borresen’s Honors American Literature, Tiller’s Pre-Calculus, Hanson’s Honors Chemisr., and, of course, Litchfield’s AP US History) each pushing us past our intellectual limits to set a foundation for us to achieve academic success based in thoughtful values, Master Sergeant Ellis and his wife serving the human needs of students in ways a normal classroom never could while pushing us all to respect and support each other as an AFJROTC family. Mrs. Bell loving her students as if her own children and supporting all of us in our individual growth, Coach Fordney and those dreaded Verda Lane 400s and the mental grit they instilled in us, the stories could go on forever as the mosaic of growth that all of us students went through to become who we are today. As I prepare to enter the career of my dreams straight out of college, I will forever stand on this base that our Keizer teachers and coaches helped to mold for me. For this, I and all Keizer students are forever in their debt. Mrs. Zahradnik, Mrs. Stai, Mrs. McFadden, Mrs. Percy, Mrs. DeVos, Mrs. Tipelin, Mrs. Reynolds, Mrs. Biamont, Mr. Hein, Mr. Staley, Mrs. Erickson, Mr. Earl, Mrs. McNulty, Mr. Hunter, Mrs. Sweeney, Mrs. Mahi, Mrs. Coe, Coach Hafer, Mr. Coburn, Mrs. Ambert, Mr. Mulligan, Mrs. Keeker, Mr. Crockett, Mrs. Woods, Mrs. Bowers, Mrs. Sheridan, Mrs. Bushey, Mrs. Tavares, Mrs. Roberson, Mr. Ward, Mrs. Cramer, Sra. Jensen, Mrs. Bell, Mr. Parker, Mrs. Graham, Mr. Melting, Mr. Myers, Mrs. Bell, Mrs. Stefani, Mrs. Bello, Maj Garcia, MSgt Ellis, Mama Ellis, Mama Hawaii, Mr. Borresen, Mr. Tiller, Mr. Hanson, Mr. Litchfield, Mr. Looney, Mr. Heimerdinger, Mr. Nicholas, Mrs. Olson, Mr. Freeman, Coach Gauntz, Coach Fordney, Coach Anagnos, Coach Auvinen, Coach Walker et al. An incredible list of mentors and educators if I ever saw one. In this day and age of a threatened nuclear war delivered by ICBMs, another president’s impeachment, huge homeless numbers, impending infrastructure failures, global warming and weather catastrophes, substantive tax relief only for the nation’s wealthiest citizens, “hush money” payments, the corruptions of “pay-to-play” by national office holders, gasoline price increases, illegal immigrants, etc., there are . . . the mascot crises. Taking what may be argued as the most easy to denounce because it was inherently wrong in the first place, news out of Albany recently announced that South Albany High School has decided to surrender its Rebels nickname for something more acceptable, even though the old nickname has been quite difficult for some to give up. It has been used at South Albany for years while its origin was the Confederacy, adopted as a battle cry in fighting the North, the objective being to preserve, protect and perpetuate the enslavement of their fellow African-American citizens. Meanwhile, although the matter is not brand new to Portland, a few moons ago one of its secondary schools, Cleveland High School, argued long and hard, with many a bitter feeling aroused, to preserve their Indians mascot. Now, we, the informed among us, know how the American Indians, and original dwellers of what became known as North America, were treated. The real American Indians, those same natives who settled in North America—long before Europeans arrived—having their name taken to celebrate victory or defeat in sports events. Incidentally, at Cleveland High in Portland, Indians has been replaced by Warriors. Never wanting the dust to get entirely settled in mascot land, there now brews in Portland another mascot donnybrook. This time it’s over Quakers as a mascot name for Franklin High School. Never mind that early and famous American patriot Benjamin Franklin was never a Quaker, the founders of Franklin somehow decided that would be a better mascot name than, say, for arguments sake, lightening, as old Ben had something to do with enlightening humankind vis-a-vis the fundamentals of electrical conduction. A formal complaint was made with the Portland Public Schools Education Board over the use of Quakers at Franklin High and the complaint resulted in the PPS board devoting a year’s time to choosing a new name. The complaint was explained as Quakers is the name of an organized religion and, as such, is “inappropriate, offensive, and unconstitutional” for use as a school’s mascot name. Incidentally, the board, after receiving the complaint, has decided to review all its district naming policies and make changes accordingly. Whether an issue is viewed as great or small often depends upon the beholder. The mascot debates are probably considered by many Americans as “small’ issues. Nevertheless, no matter the degree of importance, these debates are symbolic of the American spirit since colonial times to try to serve the needs and concerns of all citizens rather than what’s narrowly self-serving and self-centered, biased and prejudicial. 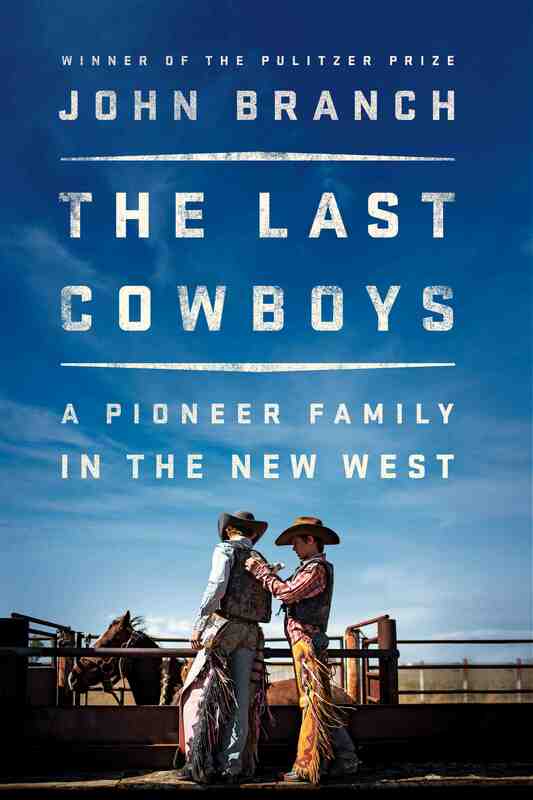 It is the belief of this writer that we Americans should do everything possible to pull together: A prevailing condition of cooperation and sensitivity for all, hopefully enabling our nation to reunite as in some former times where every American sees this as a place to call home. KeizerFEST, formerly the Iris Festival, returns to the city this weekend with a jam-packed 72-hour schedule. The fun kicked off Thursday, May 17, and live music scheduled throughout the day and night Friday, May 18. Saturday, May 19, is when most of the activity really gets rolling. River Road North will close at 9 a.m. to make way for 3K, 5K, 10K and half-marathon runs sponsored by the Keizer Chamber of Commerce. The Valley Credit Service Iris Festival Parade takes off at 10:30 a.m. and travels south two miles along River Road through Keizer before ending at Glynbrook Drive. This year, one Keizer business is building a float spectators can win. Remodeling by Classic Homes will be pulling a 9-by-8-foot playhouse/shed to advertise its services, but the structure will be raffled off after the parade. “I’ve wanted to build a float for a while, but I could never figure out what I would do with it after,” said Kyle Juran, owner of Remodeling by Classic Homes. Tickets are $5 each or 5 for $20 and will be sold at the KeizerFEST information booth near the entrance to the Lion’s Club property on Cherry Avenue Northeast. Proceeds from the auction will benefit the Keizer Network of Women Giving Basket program this winter. This year’s theme is The Keizer Way. Keizer Chamber of Commerce Executive Director Danielle Bethell said chamber employees have fielded many calls asking precisely what that means. Cherry Avenue will be closed between Manbrin Avenue and Alder Drive until Sunday evening to make space for ADA parking and pedestrian access to the KeizerFEST tent. There’s also lots of buzz circulating around Sunday’s line-up at the tent. 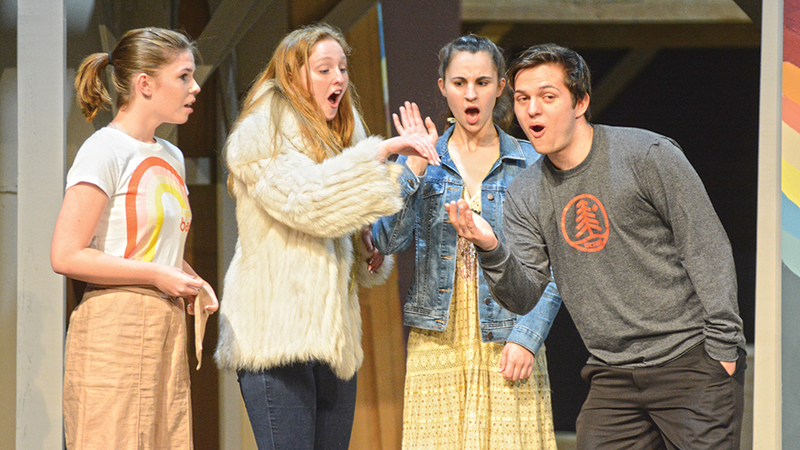 More than $2,000 will be up for grabs at the KeizerFEST Teen Talent Showcase on Sunday, May 20. Judges selected contestants from video submissions to compete in the talent show. Round 1 is scheduled to begin at 11 a.m., the final round at 3 p.m. and then a winner presentation at 4:15. First prize is $1,000, second is $700 and third receives $400. The showcase is hosted by Keizer Chamber of Commerce and sponsored by Uptown Music. • Dayspring Church, 1755 Lockhaven Drive N.E., is hosting a block party from noon to 4 p.m. Saturday, May 19. The event includes carnival games, a bounce house, free hot dog lunch and music. 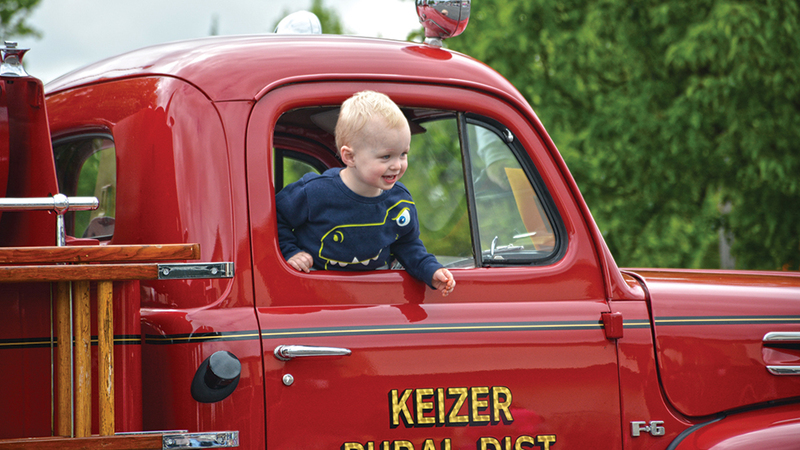 • The Keizer Elks Car Show runs from Saturday 9 a.m. to 3 p.m. at the Elks Lodge, 4250 Cherry Avenue. 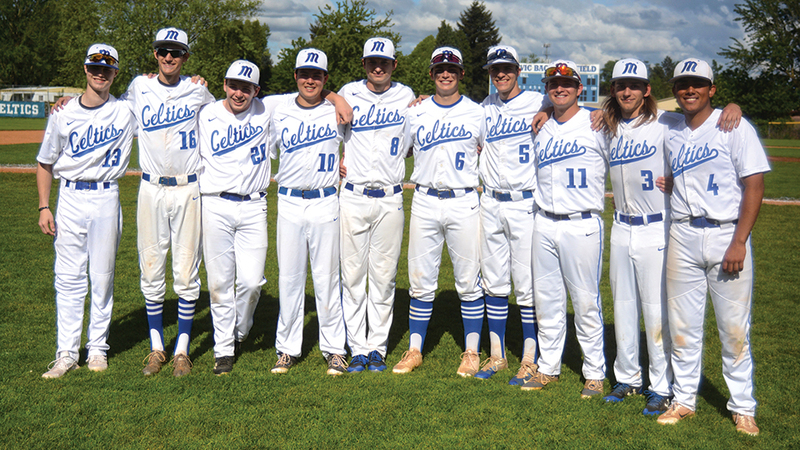 Errors plagued McNary’s baseball team all season. On Tuesday, May 15, errors ended it, as the Celtics committed nine errors in a 15-11 loss to Centennial in a state playoff play-in game. After a clean first inning, a single, infield error and hit batter loaded the bases with zero outs for the Eagles. Carl Rumbaugh then walked in the first run of the game. But McNary had chances to get out of the inning without giving up more runs. Rumbaugh got a ground ball to first base but Ryan Thompson’s throw home hit the Centennial runner in the helmet. Rumbaugh then got a fly ball to left field but Robert Benson couldn’t catch it in foul territory, extending the inning. The Eagles took advantage, scoring seven runs to put McNary in an early hole. But the Celtics fought back, scoring three runs in the bottom of the second. After Noah Bach walked and Dave Alfaro singled, Benson tripled to get McNary on the board. Thompson, who reached on a fielder’s choice, then scored on a Centennial error. The Celtics added two more runs in the bottom of the third to get within 7-5. But the wheels continued to fall off in the top of the fourth. With runners at second and third after a base hit and another error, Rumbaugh struck out back-to-back hitters. But Centennial answered with a RBI single and double to stretch its lead to 9-5. Pitching in relief, Kyle McCallister got a fly ball to the mound but misplayed it, allowing two more runs to score. The Eagles continued to give McNary chances, committing seven errors of their own. After Jacob Jackson reached on an error to lead off the bottom of the fourth, Lance Becktel drove him home with a triple. Ty Covalt then delivered a sacrifice fly to get the Celtics within 11-7. But McNary had three more errors in the top of the fifth, including failing to turn a double play and catching a ball at home plate, that accounted for two more runs. Alfaro and Collin Wentworth delivered RBI hits in the bottom of the sixth as the Celtics scored three runs to get within 13-11. But Centennial scored two more runs in the top of the seventh on another error and Covalt grounded into a double play in the bottom of the inning, ending McNary’s season. Alfaro was 3-for-4 with a RBI. Covalt and Wentworth were both 2-for-4 with a RBI. Benson was 1-for-3 with three RBIs. McNary finished the season 12-15. 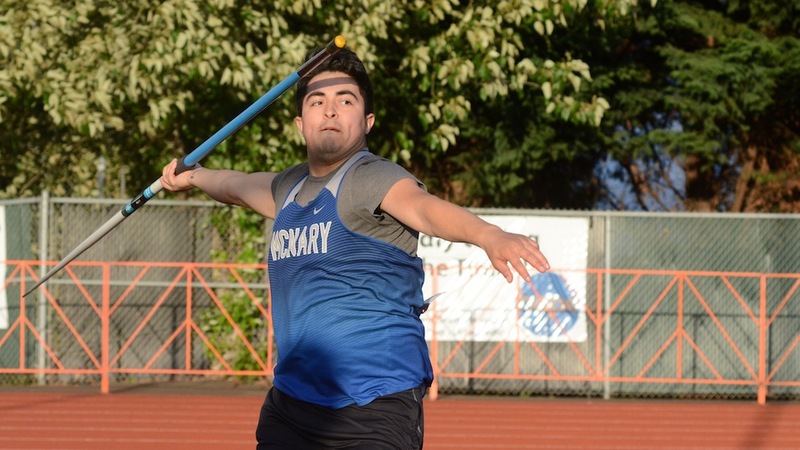 Nine McNary athletes ran either personal or season bests on day two of the Greater Valley Conference Track and Field Championships on Thursday, May 10 at West Salem High School. But none of those times were fast enough to qualify any more Celtics for state. Kailey Doutt was the closest, finishing third in the 800 in a season best 2:19.40. Hailey Lewtag of South Salem captured the final qualifying spot, placing second in 2:19.17. Elizabeth Khoury of Forest Grove won the race in 2:18.83. Doutt also ran on McNary’s 4×100 and 4×400 relays, which both finished fourth. Joining her in the 4×100 were freshmen Leah Doutt, Ashlin Samples and Isabella Walker, and in the 4×400 were Doutt, Walker and Reyna Terrazas. Leah finished eighth in the 100 in 12.91. Determined to do better in the 200, Leah placed fifth in 27.25. Walker finished sixth in the 300 hurdles in 50.64. Hannah Mallery, a sophomore, ran a PR of 50.81 to place seventh. In the 100 hurdles, sophomore Caitlyn Kiefiuk Yates ran a season best 16.86 to take fifth. Samples finished sixth with a PR of 16.87. “Our young kids, we’ve got some talent, so we’ve just go to grow on that,” Gauntz said. Noah Grunberg PR’d in both hurdle events, finishing sixth in 16.22 in the 110 and seventh in the 300 in 42.28. Casey Toavs placed fourth in the 300 hurdles with a PR of 41.83. Victor Zavala advanced to finals in the javelin and finished sixth with a throw of 144-09. Lucas Garvey and Brian Hernandez took seventh and eighth in the boys 200 in 24.12 and 24.60. Garvey also finished sixth in the 400 in 53.21. McNary’s boys 4×100 relay team (Garvey, Hernandez, Jose Solorio Diaz and Dyami Rios) placed fourth in 44.84. Garvey, Solorio Diaz, Emanuel Figueroa and Brayden Ebbs took sixth in the 4×400 relay in 3:32.65. West Salem swept the team titles. McNary’s girls finished fifth. The boys placed eighth. Pole vaulter Paige Downer is the only McNary athlete competing in the state track meet. The 6A girls pole vault is scheduled to begin Friday, May 18 at 12:30 p.m. at Hayward Field in Eugene. SALEM—Hannah Childress battled cramps in both feet to reach her first Greater Valley Conference girls singles final on Saturday, May 12 at Salem Tennis and Swim Club. But the McNary senior couldn’t bring home the title, falling to three-time district champion Ceanne Elliott of West Albany 6-0, 6-1. “I think it would have been a lot more competitive if she would have been more fresh,” McNary head coach Mathew Osberg said. After cruising to the semifinals, dropping just five games in three matches, to qualify for her fourth state tennis tournament, Childress defeated South Salem sophomore Abby Fedor 7-5, 6-2 Saturday morning to reach the finals. Gina Munguia and Natalia Gonzalez, who didn’t begin playing together until the last match of the season, reached quarterfinals of the doubles bracket, where they lost to the eventual champions Avari Ridgway and Amy Gilliat of McMinnville 6-0, 6-0. 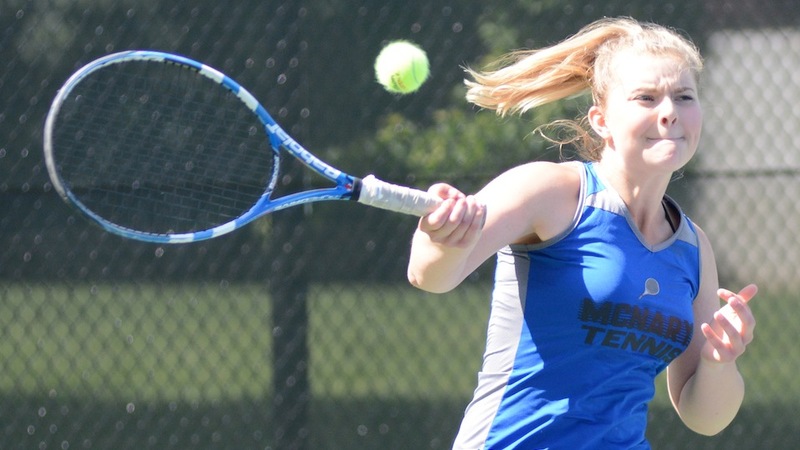 McNary senior Katherine Perez regrouped from losing in the first round to win four matches in a row, including a 5-7, 7-6, 6-0 victory over Hannah Leichty in the consolation finals. In the boys tournament, McNary junior Alfredo Villarreal also rebounded after losing in the first round to reach the consolation finals, where he lost to Josiah Barkes of Sprague 6-1, 6-1. Villarreal shut out Rees Jones of South Salem 8-0 to get to the finals. The 6A tennis state championships are May 17-19 at Babette Horenstein Tennis Center in Beaverton. Childress, the No. 7 seed, has a bye in the first round and will get the winner of Olivia O’Halloran (Barlow) and Lucy Erickson (Sunset). Members of the Keizer Budget Committee were in a giving mood last week as a number of local organizations were granted additional funding or first-time funding in the city’s annual budget. Three of the standouts were the Keizer Chamber of Commerce, the Keizer Cultural Center and a non-profit known as Keizer United. The Chamber and Keizer United were tentatively approved for additional funding, but will need to come back and present detailed plans to the city council prior to money being disbursed. The Chamber’s typical annual support includes about $3,000 for a membership package, an advertisement in the group’s annual lifestyle directory and $2,500 for support Chamber employees supply in visitor services. Last week, Chamber Executive Director Danielle Bethell and Chamber President Nate Bauer requested an additional allotment of $8,500 from the Transient Occupancy Tax (TOT) Keizer collects on hotel stays. The amount is 10 percent of what Keizer collects annually in TOT. “The Chamber promotes the businesses, but also the community. We’re asking for some funds to help do that,” said Bauer. Until 2011, the Chamber received 20 percent of the TOT collections, but an slow economic recovery combined with the need to prop up a new civic center while it gained a place in the event market meant money was used elsewhere. Bethell said the Chamber intends to use the additional TOT money to help secure a new space on River Road North. “The 1,000 people that we bring – awkwardly -– to our space in Keizer Station would double if we were on River Road. We need help to do that,” Bethell said. Budget Committee members, which include city councilors and a citizen advisory group, approved the additional request for TOT dollars with the caveat that a more detailed plan was needed. The same was true for Keizer United, a non-profit that is working to connect the varying efforts of many Keizer organizations and schools seeking volunteers, funding and in-kind support. After a request for $2,000 in the last budget cycle met with concern, Meredith Mooney, a spokesperson for Keizer United, returned this year loaded for bear. “We are asking for some financial support because Keizer United is repurposing its mission and vision, and we’ve more than doubled our representation at the table,” Mooney said. Mooney said the group’s new mission includes being a neutral ground for collaborations to happen among other efforts from all sectors of the Keizer community. She also pre-sweetened the pot by securing a matching $2,000 grant from the Salem Leadership Foundation. While Keizer United was approved for funding, a more detailed plan will need to be presented at the city council. The committee also approved doubling financial support for the Keizer Cultural Center, the old school next to the Keizer Civic Center. Leaders from the Keizer Art Association, Keizer Heritage Foundation, Keizer Homegrown Theater, Keizer Heritage Museum, and Keizer Community Library all turned out over the course of two nights to make their case for a $20,000 allocation to help support all five groups during the next fiscal year. Linda Baker, founder of Keizer Homegrown, said a cultural center is something unique to the surrounding areas. One point of concern was money from the city being put into the sinking fund for the building as a whole. Committee Member Ron Bersin wanted to see the tenants of the building build up that fund rather than seeing taxpayer money go into it. Nothing was set in stone, but representatives of the cultural center made verbal concessions. Chris Erich, representing the Keizer Heritage Foundation which oversees the facility, said management is also investigating insurance plans to cover catastrophic expenses. City Manager Chris Eppley said his support stemmed from almost purely pragmatic concerns. Other projects that received special attention in the budget included: allocating $60,000 for an electronic readerboard for the Keizer Civic Center, the funding will come from a contingency fund dedicated to the civic center; a $2,000 increase in stipends for public art; $2,000 to replace the lights and wiring for the city’s Christmas tree; $6,000 for the Salem-Keizer Education Foundation after school programming; and $5,000 for the Mid-Willamette Homeless Initiative, which helps cover the costs of a program manager connecting the various organizations that reach out to the area’s homeless residents. Keizer Little League (KLL) pocketed $12,000 from concession stand proceeds in 2017, money contractually mandated to be spent on park upkeep. And the Keizer City Council is on the verge of granting the organization a “get out of jail free” card. Under the terms of a contract with the city signed in 2016, net proceeds from the Keizer Little League Park’s concession stand are supposed to be reinvested in maintenance and improvement of the park itself. In 2017, the concession stand netted $24,000 and only $12,000 went back into the park for maintenance. 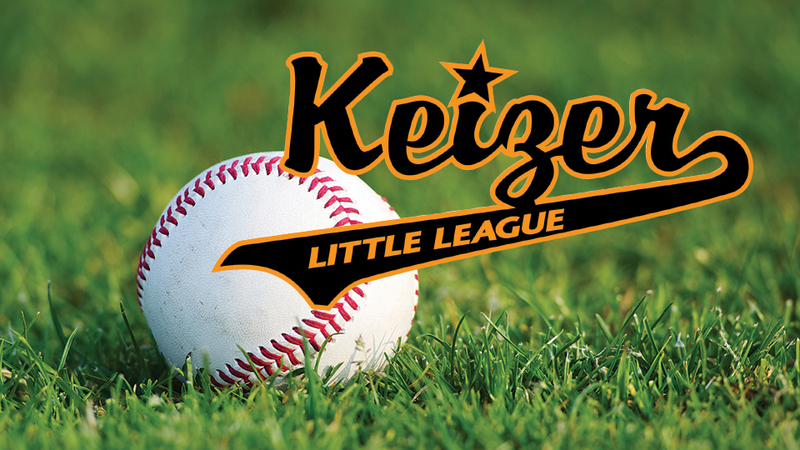 Keizer Little League President Brad Arnsmeier said the remaining $12,000 offset costs of running a free T-ball program for 220 players, purchasing uniforms, equipment, insurance, and as scholarship money for athletes’ families who would otherwise struggle to pay registration costs. Arnsmeier, who was elected KLL president last year, said he was not aware of the language in the contract until December 2017. “Had I been aware, we never would have opened the concession stand. The contract, as it was written, was an unfair contract,” Arnsmeier said in a phone interview after a Keizer City Council meeting Monday, May 7, where the financial discrepancy was brought into the public light. Arnsmeier was unable to attend the meeting because he was out of town. To be fair, KLL leaders and volunteers have put a large amount of work into rehabilitating the facility. The organization has received two matching grants amounting to $20,000 out of the city’s general fund in recent years. Led by Clint Holland, a KLL board member and longtime Keizer volunteer, KLL leveraged that money to secure another $50,000 over four years from the Rotary Club of Keizer. Volunteer hours and in-kind donations likely amount to tens of thousands more. However, KLL has been asked twice to submit a detailed budget to the city for review and come up short on both occasions. When KLL requested the city council’s permission to increase field fees by $10 across the board, the budget it submitted was mostly a collection of expenses with only one source of revenue listed. This week, KLL was requesting the city council modify the contract it operates under to allow the organization to keep half concession revenue and all tournament income from non-youth users. The budget KLL presented this time also left city councilors wanting. A competing youth baseball organization, known as McNary Youth Baseball (formerly KYSA), has been more forthcoming. In the budget made available to the council Monday, there was no accounting at all of the $12,000 KLL kept from the concession stand. Holland attended the meeting and spoke as a representative of the Keizer Little League Board, but rather than defend the decision allowing KLL to pocket the money, Holland spoke for more than five minutes about the improvements that have been made at the fields. By the end of the evening, no solid answer regarding knowledge of the contract requirements was given, only that the specifics of the contract were brought to light in December 2017. Holland also sits on the Keizer Parks Advisory Board, which reviews the applicants for the Little League Park management contract and makes a recommendation for awarding it to the city council. The council voted unanimously to have staff craft amended language to the contract allowing the managing group to keep half of concession and all tournament revenue – and keep the process moving – but seemed to be leaning toward revising the terms. “Would it be alright with you if KLL can come back and show the equivalence of the $12,000 invested in the park?” Mayor Cathy Clark asked city councilors and representatives of MYB in attendance. Nods were the only response. As far as city staff’s role in the process, City Manager Chris Eppley appeared to want to wash his hands of the whole thing. The matter is expected to return to the council during its first meeting in June.